Marketing automation has become a game changer for businesses of all sizes. You owe it to yourself to embrace a marketing automation platform that will allow you to market more effectively without spending as much time on the different processes. Besides simply triggering an email, there are more creative ways for you to use automation. Marketing automation can be combined with direct mail in order to provide you with direct mail automation. You can send postcards, catalogs, thank you notes and more automatically to leads, customers on their anniversary, and even as a way to re-engage cold leads. Sending direct mail out is a great way to make sure that your messages get seen because inboxes are getting more and more crowded. Engaging with people on social media is more important than ever before. You can utilize social media as a way to interact with your audience. When people like you on Facebook, you can use a bot to send them a thank you. If people visit your website from your social media page, you can invite them to learn more with an email. With GreenRope, you can seamlessly trigger workflows when a person has liked, commented or replied to on social. Using social media platforms can help you to engage more people within your target demographic. You may find that you are able to attract new followers and engage with influencers simply by embracing Facebook, Instagram, and all of the other leading platforms. Every single one of your leads is going to take a different customer journey. One person may start on social media while another may start on your website. Further, they may have a different idea in terms of when they are going to buy. You can automatically send each person through a personalized buyer's journey to help them navigate your sales funnel. It will make it easier to guide people towards conversion, giving them what they are looking for every step of the way. It can lead to a higher conversion rate than anticipating that everyone will take the same customer journey, which is simply not the case. Not all leads have plans to buy right away. The good news is that you may be able to rejuvenate a lead that you thought was dead. Rather than ignoring the leads that haven't made a purchase, you can use marketing automation tools in order to establish a certain lead score threshold. From there, when someone goes below the threshold, you have the ability to rejuvenate them by connecting with them by email, social media, or even through the standard mail. The same goes for hot leads. If someone hits a certain lead score threshold, that can trigger a workflow which can contain any type of touchpoint to help engage and connect with that contact. The average customer needs assistance. They can learn a lot about your company by reading through your blogs as well as exploring your different products. By connecting the right data points, you can make suggestions to consumers. This includes pointing them towards the different blogs that will help them as well as the products that they are most likely to purchase based on what the data identifies. When you make personalized suggestions to consumers, they are more likely to engage with you and ultimately do business with you. Marketing automation has grown considerably over the past several years. Establishing a strong marketing automation strategy will help you to streamline efforts and make it easier for consumers to follow along with the customer journey so that they become customers. Remember, marketing automation is not a standalone strategy, it must be integrated with both your CRM and customer service strategies to really be 'complete'. 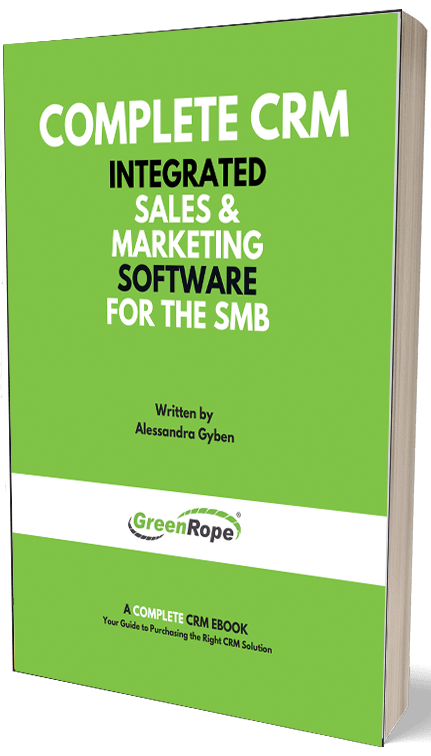 Learn more about the power of marketing automation by contacting GreenRope today. We can introduce you to our unique platform that includes intuitive and customizable marketing tools for you to use to grow your business.